this car will replace proton waja ??? this lancer will replace proton waja????? true or not ??? According to the business weekly paper, the Edge (week of 23rd Feb 2009), Proton will be releasing the new Proton Waja 1.8l, which is a rebadged version of the Mitsubishi Lancer 2.0l in 2010. Further refinement is currently underway. 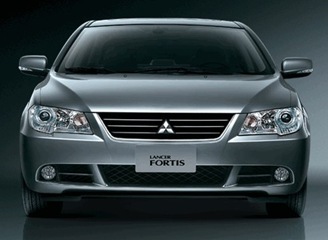 The looks will be different from the Lancer and spot its own characteristics. But one things for sure, the mechanical aspect and design is all Mitsubishi. Let’s hope the assembly is of quality. This also means that Proton is now effectively in the business as a car assembler rather than car manufacturer. There is effectively minimum difference between Perodua (backed by Toyota/Daihatsu) and Proton (Mitsubishi). Did i say they will also price the 2010 Proton Waja (aka Mitsubishi Lancer) at 80k? Honda City & Toyota Vios will have much tougher alternative from Proton Lancer this time. who telling you ? where you get the information ? Subject: Re: this car will replace proton waja ?? ?